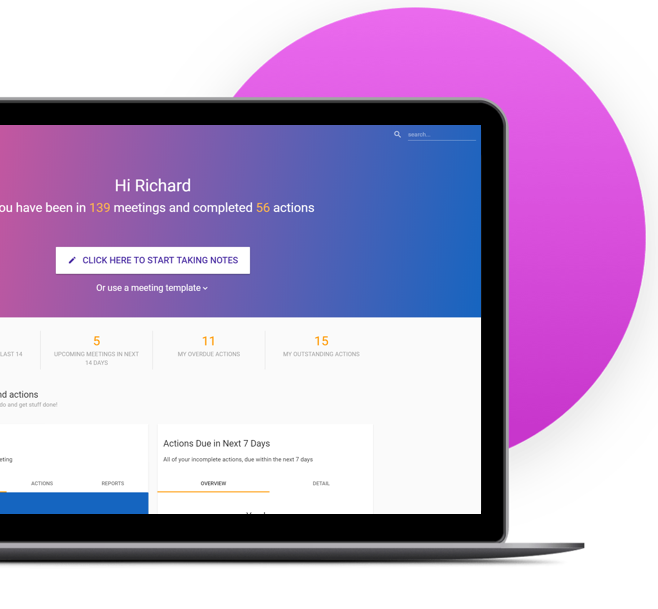 Follow our simple, step-by-step guide to setting up a “Meet Now” meeting – great for capturing details of an ad hoc or impromptu meeting, chat, or call. 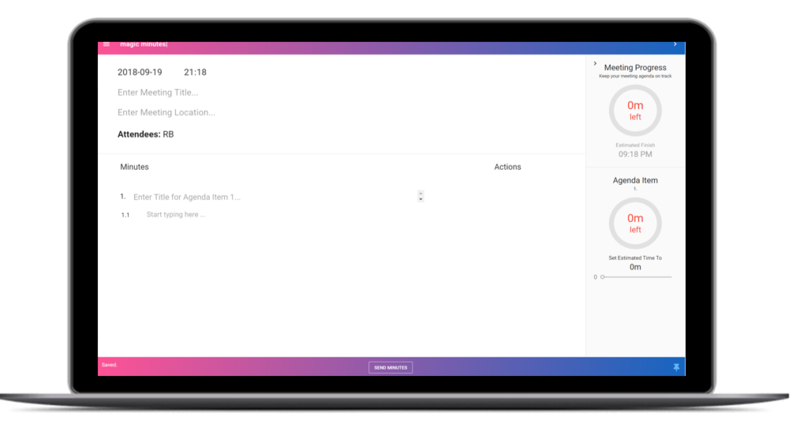 Magic Minutes is designed to work for formal meetings (with agendas, reports, etc.) and for when you want to grab some quick notes. To start taking notes, simply click on the “Click here to start taking notes” button! There are also a wide range of templates available for different types of meetings such as board meetings, sales reviews, marketing meetings and much more! Start by selecting a date from the date picker. The meeting time can then be added. Next, add a meeting title or, if you want to get started straight away, leave this blank and one will automatically be generated for you (based on the date and time of the meeting). A meeting location is optional and will remain blank if you choose not to type anything into this area. 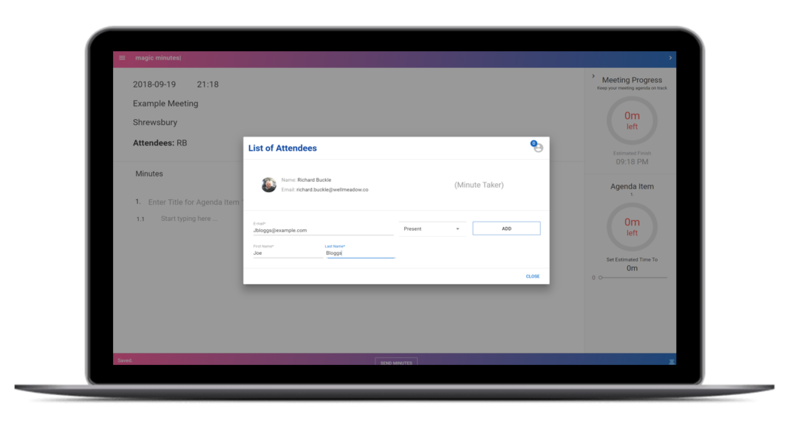 Add attendees, or other people you may wish to receive a copy of the minutes, by typing in their first and last names, and their email address in the ‘Add Attendee’ section and clicking “Add”. You can then assign their meeting status (Present, Apologies, Copy Only) by clicking on the ‘Present’ dropdown box on the right-hand side of their email, or remove them by clicking the ‘Remove’ button on the right.